As Golf moves along in a new century particularly in the US we have to ask ourselves, is there a ‘’Big World Theory’’? I was under the impression that the ‘’Big World Theory’’ meant there were more than a few choices to choose from. We now have ‘’member for a day courses’’ or “upscale public’’ that didn’t exist 30 or so years ago. The new fad, ‘’Destination Golf’’, is building good-great courses on really good sites in predominantly low populated areas and it has taken off. Our choices are improving in some senses. This seems very obvious as to why it’s successful in today’s culture. Many younger and older folks are unable to make the simplest commitments to play in work leagues or foot big bills at their local private club. The other question that needs to be asked, are there quality local course(s) with very good value that golfers can justify playing due to the value offered? Some cities and towns the answer is a yes, others it is no. I believe we have turned a blind eye to some courses in our backyard that would benefit greatly from a full out renovation. Courses particularly with good change of elevation, a decent routing, poor mowing lines, and tree problems creating turf problems which lead to poor conditioning. We have all witnessed many top tier affluent private clubs renovate their course and a waiting list has ensued. What I find in short supply for the longest time, is private/high quality/ Aussie club models in the US. Some cities in the US already have really good public options and make my suggestion much less viable. An alluring aspect of a member private club is the members know the course and in theory and reality play faster. When I started looking at the Aussie models, I started asking questions. Why can’t we have more members, with smaller dues? Why do some UK clubs outsource their F&B, yet we seldom do? Why does one keeper maintain a course so well with 1/3 of the budget he had at a prior club as an assistant? Well there is a Golf course in my hometown and let’s give it a new name, Middle Ground, pun intended. The course has really good change of elevation, a creek running through it, and it sits on around 100 acres. 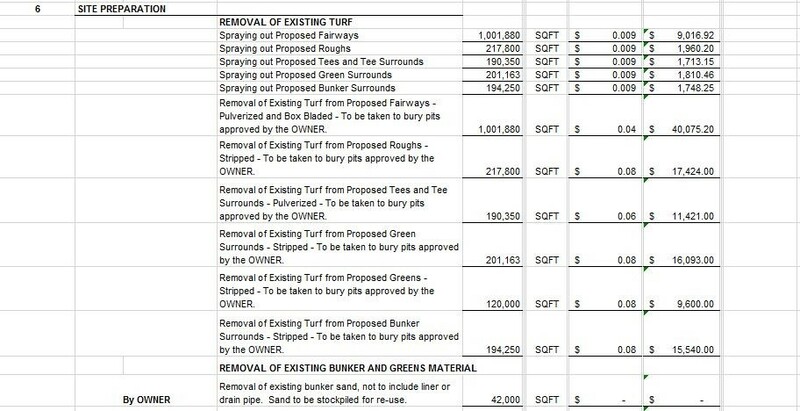 It’s just screaming for a $3-4 Million Dollar renovation with new bold greens, new bent grass fairways, massive tree removal, 30% wider fairways, new single row irrigation, and re-routing of a few holes to take advantage of existing natural features currently not being utilized! With the talent we have today with great Architects and the advancements in agronomy we have to ask ourselves are we making the most of it? The options in my hometown for public golf is weak but there are many affordable public choices and the private golf options are expensive. Most of the private courses are nowhere near worth the money they charge and their financial situations tell the story. There is a population of 700,000 people within 25 miles of Middle Ground. The experts say around 7% of people play golf, so that gives me a pool of 49,000 golfers to attract to Middle Ground. I’d say that is pretty good pool to draw from and FOCUS ON. 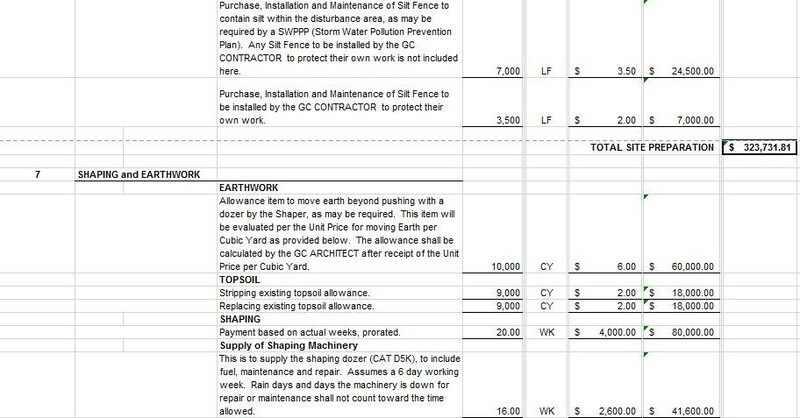 I’ll get to the annual projections of revenues and expenses soon. Common Ground a non-profit in Denver is an example of this, but the renovation was completed with money raised by the Colorado Golf Association and it’s a public facility. Tom Doak and Co completed a new routing and a new irrigation system was installed all for $4 Million. Common Ground does 30,000 rounds annually and offers a great value. One of my home courses Radrick Farms, in Michigan does 30,000 rounds a year and has 700 individual members plus a portion of donate for access play. The course is fiscally a net positive for the University of Michigan, sending surpluses back to the University annually. Common sense, sustainability, local pride, and soul come to mind. 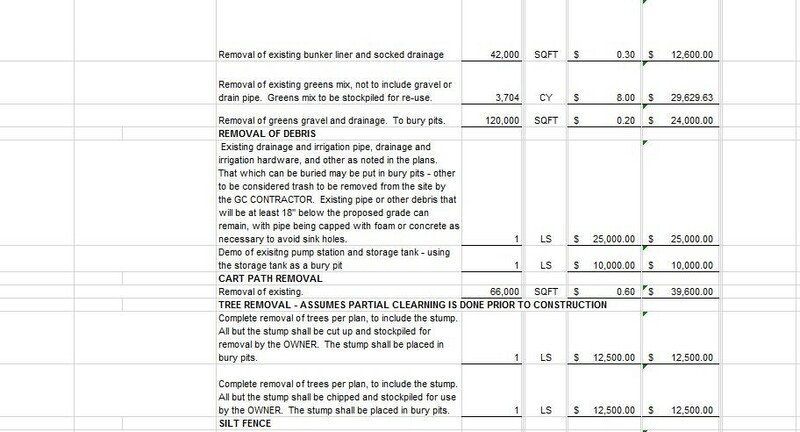 Both of these courses if privately owned could be very profitable, yet we overlook these opportunities in our backyard. I understand that it is a lot to ask someone to risk their own Capital or take on debt from a bank. I think they see some private clubs hurting and with $25 publics racing to the bottom with Golf Now as a scary time to invest. There seems to be no Middle Ground, however every private club that built a new clubhouse in NW Ohio either was sold in a fire sale or went under. Now with the idea of a clubhouse being open to the public, capital can be infused from leasing out to another party which takes the burden off the current owner in my opinion. Had Middle Ground spent a million on the Golf Course and not a new clubhouse in 2005, it might have been a different story or at least more beneficial to the 2nd owner (The prior Clubhouse was much cooler too). If current owners could attract additional investors for a private loan at around 2-3% interest rate for 15-20 years this could be viable. 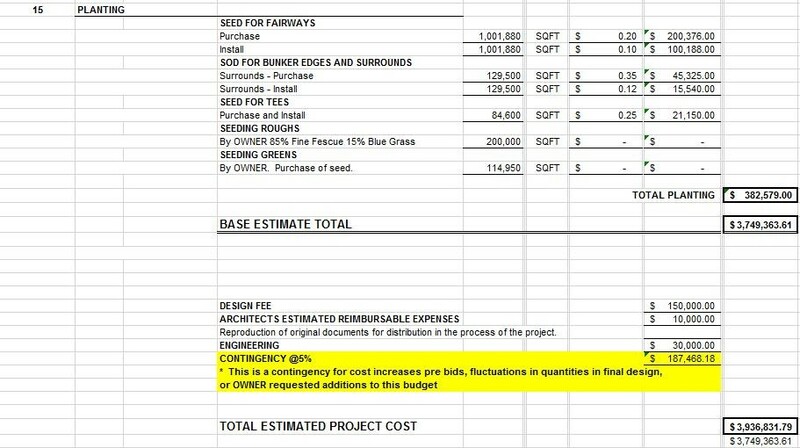 It’s very important to convey the profitability of this idea by selling how important quality land is, the value of a great up and coming Architect, and a routing taking advantage of natural features while enabling ease for walking. 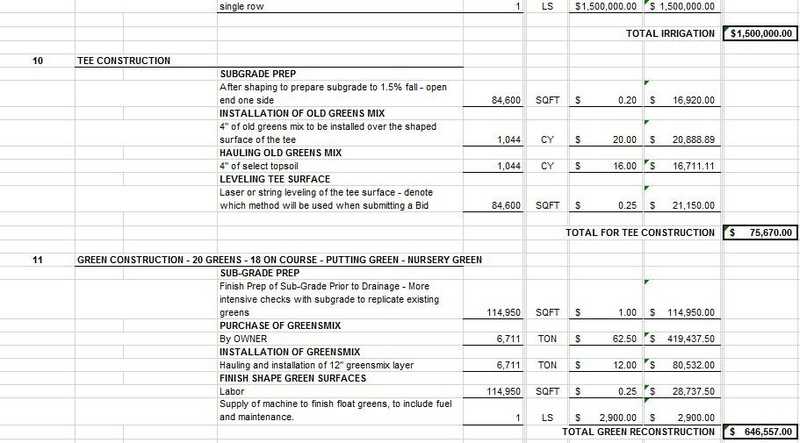 Golfers and investors are under the impression that quality courses cost a lot of money to maintain annually because the elite private clubs spend a lot. Owners have in the past limited themselves to Architect’s closest to them geographically and have failed to do due diligence in finding talent and value when looking to hire an Architect imo. That is not the case, if one digs deep and does their homework. Many have overlooked the core asset which is the Golf course and diverted money into money pits. This is easy to do when a club is member owned with too many chief’s. With new turf grass improvements, one would have the ability to differentiate themselves from the rest and give us that Middle Ground we desperately need in many areas of the US. New grass varieties today require less inputs and water while providing an improved surface and enhance the Golf course which is the core asset. They shouldn’t just be considered for the elite clubs. There are some really good Keepers out there that can deliver very good playing conditions with a small budget. Getting rid of Irrigated rough will help with pace of play, add contrast, and save on maintenance costs. 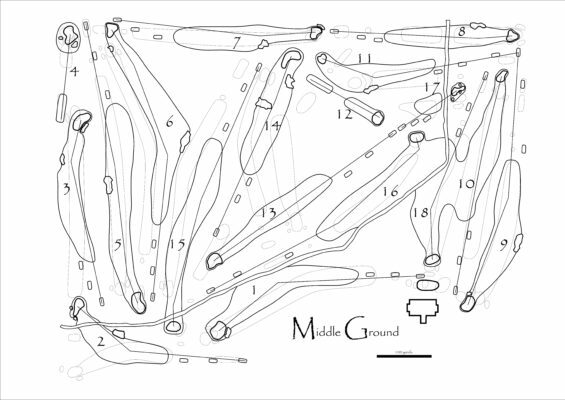 Also keeping carts on fairways will help with thatch. Having interesting greens (unlike the other 20 courses with flat greens) will interest many people into joining or becoming repeat customers. Now one has a blank canvas to create interest on the greens. I personally blame myself for not persuading those with the means to accomplish such a feat. I feel that predominantly through profitability does one achieve sustainable results. You can have quality Golf, fellowship, value, and club comradery, especially when there are fewer Chiefs & more Indians. I think it’s time for us to think backyard, within 25 miles, inclusiveness, value, quality, fellowship, squash the caste system Golf gets associated with, bold ideas, profits enabling sustainability, inclusive member golf with public clubhouse, more individual members with smaller fees. 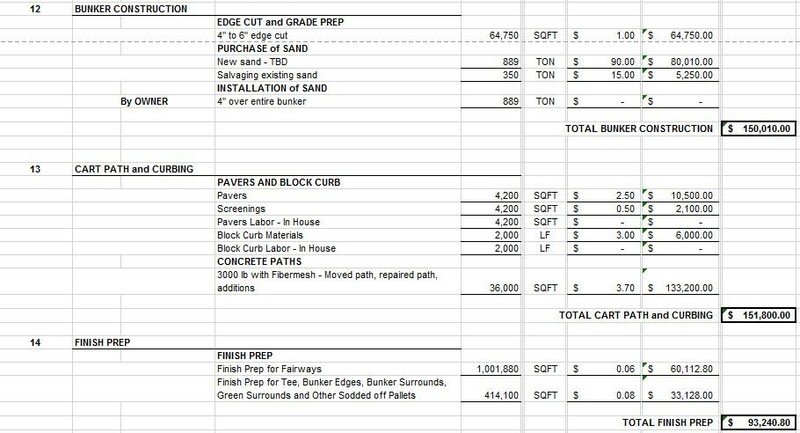 I’d like to thank Tom Doak, Craig Moore of Marquette GC, Paul Scott of Radrick Farms, Joe Hancock, Colton Craig (professional rendering of master plan), and Mike Young for assisting me with their past experiences and knowledge. * Dormant application after T.D. Spray every 3-weeks Ferrous Sulfate 3 oz./M 25 lbs. 200 lbs. a day or two after Maintenance Monday (46-0-0) Urea 0.08 #N/M 25 lbs. 200 lbs. * Imidacloprid application 1 time 26 oz./A 80 oz. 80 oz. Spray Monthly following vertical mowing Ferrous Sulfate 4 oz./M 25 lbs. 125 lbs. (46-0-0) Urea 0.11 #N/M 25 lbs. 125 lbs. * Imidacloprid application 1 time 26 oz./A 60 oz. 60 oz. Spray Monthly following vertical mowing Ferrous Sulfate 4 oz./M 35 lbs. 210 lbs. (46-0-0) Urea 0.11 #N/M 35 lbs. 210 lbs. * Imidacloprid application 1 time 26 oz./A 85 oz. 85 oz. 5 times – 300/M per tank Ferrous Sulfate 4 oz./M 75 lbs. 1500 lbs. Spray Monthly following vertical mowing (46-0-0) Urea 0.11 #N/M 75 lbs. 1500 lbs.